New Delhi, Nov 6 (IANS) The Press Council of India (PCI) has announced its "National Awards for Excellence in Journalism" for 2018, which it will give away on November 16 on the occasion of National Press Day. 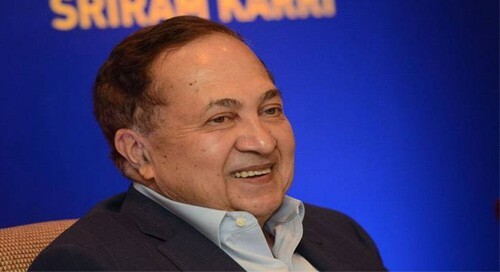 Among the winners are N. Ram, Chairman of the Hindu Publishing Group, who has been selected for the prestigious "Raja Ram Mohan Roy Award", the Council said on Monday. Ruby Sarkar, Chief Correspondent, Deshbandhu newspaper in Bhopal, and Rajesh Parshuram Joshte of Daily Pudhari, Marathi newspaper in Ratnagiri, have been jointly selected for the award in "Rural Journalism" category. V.S. Rajesh, Deputy Editor of Kerala Kaumudi, will receive award in the category of "Development Journalism" for his articles published in the newspaper during Janauray 23-29, 2017. Subhash Pau of Rashtriya Sahara will get the award for "Photo Journalism - Single News Picture", while the award in "Photo Feature" category will be given to Mihir Singh of Punjab Kesari. The award for the category of "Best Newspaper Art: covering cartoons, caricature and illustrations" will be given to P. Narasimha, Cartoon Editor, Nava Telangana, Hyderabad. No entry could qualify in the newly introduced award category of "Sports Reporting", the PCI said. "The Press Council of India, as the only statutory authority entrusted with the responsibility of encouraging the media to pursue its duties following its dictum of 'freedom with responsibility' instituted these awards in 2012 to encourage journalists, photojournalists, freelancers excelling in print journalism," it said in its statement. The awardees were selected by a jury comrpising eminent working journalists and senior editors.